When temperatures soar and weather conditions get hot and sticky, it’s good to know you have excellent Orange City air conditioning repair to depend on that can keep you cool, calm and comfortable. 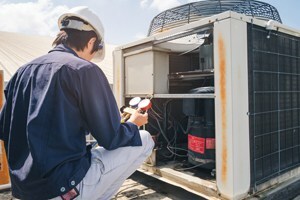 If it seems like you’re prone to the famous Murphy’s law adage that goes “if something can go wrong, it will”, chances are that your air conditioning will go out at the most inopportune time. Staying cool in Orange City is not an option, it is a necessity. 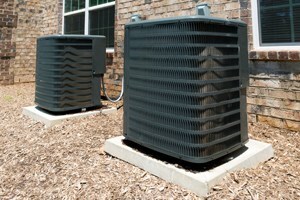 The residential AC repair Orange City FL needs as well as expert commercial AC repair comes to you from the professionals at DC / AC Air Conditioning and Heating. We’ve been helping folks in Orange City stay cool for over 25 years. We’ve earned a Better Business Bureau rating of A+ for supplying residents and business owners with excellent HVAC service, and we’ve also been named among the Orlando Sentinel Best Bets for the Best AC Company in 2017. These are honors that are valuable to us and are never taken for granted. We believe you’ll be pleasantly surprised by all the advances that have been made in today’s newest HVAC systems. Your Orange City AC repair specialists are knowledgeable and helpful in your decision about the new system that’s best for you. Today’s cutting-edge systems are eco-friendly, leave a smaller carbon footprint, run more efficiently than ever before and also run cleaner and more safely than they did in the past. Once your new system is up and running, you’ll have peace of mind knowing that you and your loved ones will stay cool for years to come in the most eco-friendly and cost-efficient ways. Your new system will be carefully selected to fit your cooling needs, as well as your budget. We’re dedicated to providing the best new AC systems to our clients at the most competitive prices. Our goal is to see that you are l00 percent satisfied with your AC repair in Orange City Florida and with every interaction you have with us. We pay careful attention to your needs and listen to your concerns. Our friendly technicians are also known for being exceptionally helpful and patient, answering every question that comes up. We want you to be fully informed so you’ll be able to make the smartest decisions about your HVAC repairs and system needs. The AC service Orange City depends on got its excellent reputation by paying prompt and complete attention to the smallest details that can be easy to overlook. We know that when you’re completely satisfied with the service you’ve received, you’re more likely to recommend us to your friends, neighbors, family and co-workers. To us, this is the highest compliment we can receive. Of course, we always appreciate the excellent reviews we receive as well, and we never take those for granted. 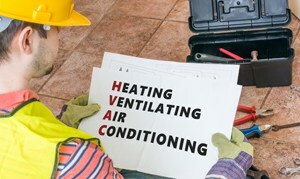 For over 25 years, DC / AC Air Conditioning and Heating has been here to supply the AC Repair Orange City needs and the AC service Orange City depends on to keep their HVAC systems running in top-notch order. Our technicians are carefully selected from among the top technicians in the field and are well-trained, knowledgeable and highly skilled. They share the company beliefs of service delivered with integrity, honesty, professionalism and unparalleled skill, with a passion for excellence. Every service call and repair we do adheres to our goal of providing the affordable AC repair Orange City needs and deserves. We live in central Florida too, and we know how critical the AC Repair Orange City depends on is to experiencing happiness with living in this beautiful, but sometimes hot and humid subtropical area. You can trust the expert AC repair Orange City has relied on for over a quarter-century, delivered by DC / AC Air Conditioning and Heating, to be the best you can find in the area. 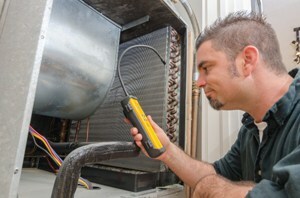 We strive to be the company you call first for HVAC answers, expert repairs, expert diagnostic service and advice. Exceptional Orange City air conditioning repair is as close as a simple phone call or a few clicks on the DC / AC Air and Heat website. Fast, thorough service will be on its way to you in a snap.